The Lumia 800, first Windows phone from Nokia has created quite a furor and has earned its well deserved place in the hearts of the customers. Nokia had been disappointing for quite a while and there was a time that I felt they were sure to become a company of the past if they did not come up with something clever and based on the latest technology, which is precisely what they did. Result: The Nokia Lumia 800 that is competing with the top notch handsets in the market and Nokia is in a much better position in the market. Let’s see what makes this handset click so well. The Nokia Lumia 800 has an external appearance that makes it special, the first time that you spare a glance for it. It is large, but very petite and the profile of the smartphone is pretty enticing. Another thing that I loved about the handset is that unlike most other high end smartphones that are available in the market, this is one that comes in a wide array of hues and some of them are really sporty. The handset has rounded edges and that makes it very easy for the user to grip the phone. The handset has an imposing appearance with the screen covering almost the entire frontal region of the handset. It has the candybar form factor which seems to have become the “in” thing for handsets these days. The Nokia Lumia 800 display is actually smaller than its predecessor which was the Nokia N9. 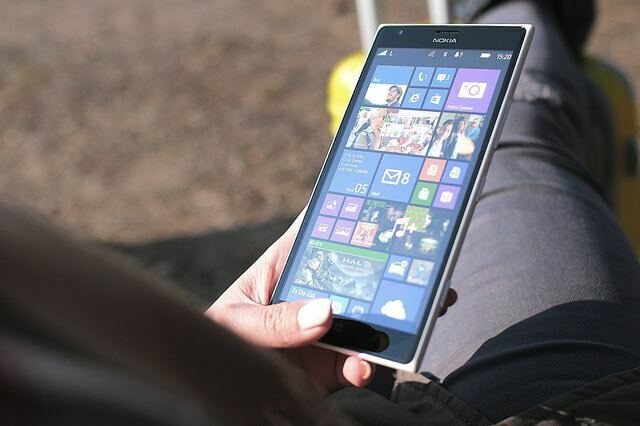 It has a 3.7 inch screen that has a native resolution of 800 by 480 pixels and this is reduction has been made so that the handset becomes compatible with the Windows Phone operating system. The display is an OLED type one and thus there is nothing that can be said that will taint the quality of the screen. The bubble like surface of the screen, you get the illusion that everything that is displayed on the screen is actually floating, a sight that you will not get to see in any other handset presently available in the market. The Nokia Lumia 800 is equipped with an 8MP camera that has the dual LED Flash to support it. It is better than all the other cameras that the Nokia handsets have had till date. The camera functioning is simple as the user has more control on it as compared to the past and the camera can also shoot videos in 720p HD, a feature that is imperative to make the handset feel like a true smartphone. The downside is that the handset lacks a front facing camera. This seems strange to me, given that the mobile version of Widows Skype is such a huge hit and since the handset is working on Windows this could have actually been the USP of the handset. The designers of this handset have made use of the 1.4GHz MSM8255 Snapdragon processor that is just great as it helps to bring out the best in the operating system, which is actually the most anticipated and talked about feature of this handset. Ever since we found out that there has been a tie up between Nokia and Windows, we were waiting to see the wonder that these two companies would create. The Windows Phone operating system alias Mango, coupled with the hardware of Nokia is the reason why this phone has been selling like hot cakes and that is understandable. The operating system is nothing like the Symbian operating system that Nokia has been loyal to, uptil now. The interface used is also different from all the operating systems that other handsets are based on. There are “Live tiles” that are present and you just need to touch the tile that you need for getting the job done. Also, you can change the positioning of the tiles according to your priority and keep the ones that you use most of the time, by simply touch a particular tile and dragging it to the desired position. The overall features of the handset are great and there are some minor glitches that are present, but they are clearly blocked out by the overall awesomeness of this handset. The Lumia 800, first Windows phone from Nokia is one that you should get yourself. There is a whole world waiting to reach out to you, all you need to do is to purchase this device, as it is the key to that world. Go and get yourself one, right away.